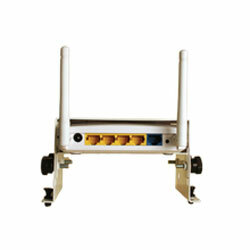 The C-0526 4 Port Wireless Router is the ideal solution for providing high speed wireless to the home or home office. It connects PCs, smart phones, tablets, wireless printers, gaming consoles, and other Wi-Fi devices at transfer speed up to 300Mbps. MIMO (Multiple-In, Multiple-Out) antenna technology uses multiple antennas at both the transmitter and receiver ends to provide enhanced wireless coverage and performance so you can enjoy reliable wireless connectivity anywhere in your home.